While writer muses come and go at their will, each of us is granted a mentor. Very early on I was lucky enough to be taken under the wing of the best screenwriter Canada has produced, John Hunter. I don’t remember how John and I first met. All I know is he was a produced writer and I wasn’t. 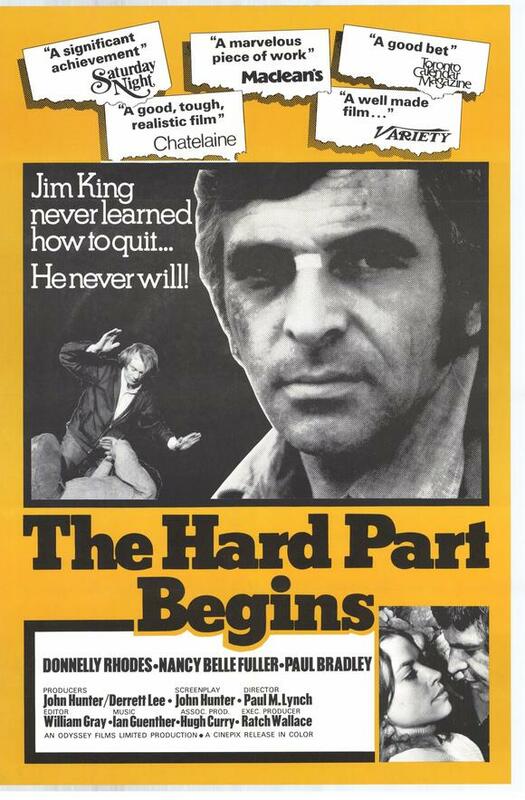 But it was around the time that his first feature, The Hard Part Begins, went into production. I think what brings mentors and acolytes together is something each needs from the other. I needed to learn how to write. John needed somebody with whom he could talk about writing. He didn’t pretend to have a grand vision of the art form. He wasn’t a screenwriting guru or extensively concerned with syntax or style. He simply wanted to understand how and why stories were told the way they were and what stories each of us might hold inside and could share. We both had Prairie backgrounds and John’s general theory of why the flatlands produced so many artists was simple. There was nothing there. You had to make everything up. And the isolation also meant that when you did speak to someone, you had better have something worth saying and worth listening to. It was comparable to being a Canadian screenwriter in the 1970’s. There weren’t many. And when they got a chance to make a movie, they had to make damn sure it was a story that hadn’t been told before. And that’s how he approached the writing process. It was about the writer as much as it was about the subject matter. John was also drawn to unique characters rarely depicted on the silver screen. The Hard Part Begins was about itinerant country singers far from the big time. He followed that with Blood and Guts, a film he also produced, a movie about itinerant wrestlers far from the big time. But unlike artists who go back to the same well, John was about finding turf he may have already explored and discovering new levels he hadn’t known (or that an audience hadn’t suspected) were there. While The Hard Part Begins ends with the hero losing, Blood and Guts finds both dignity and redemption in defeat. Fittingly, it also marked the historical point where Canadian film moved into another gear, leaving behind its low-budget roots to play on a bigger stage. John understood that as each of us grew and matured as artists we’d find new levels and angles to a story. Who we were determined the final story as much as the tale we were trying to tell. He never gave notes or direction. It was your story. Why were you telling it the way it was being told? Why were you taking it in the direction it was taking? To this day, I’ve wondered if he meant the scene was perfect or that the guy writing it had simply reached the limits of his current level of talent. But John’s mentoring was not limited to writing. He networked me, introduced me to people and circles of the business I either didn’t believe I belonged with or was ready to encounter. Only later did I realize that exposing me to film icons and other working artists expanded who I was and therefore what I could accomplish. More than most, he also understood that film was a collaborative art and each of the artists making a film brought something to it that no writer, no matter how accomplished, could do alone. We all needed to really know each other before we could truly do our best work with each other. John produced my first feature and did his damnedest to get a second one off the ground. At the same time he moved to another writing level himself. 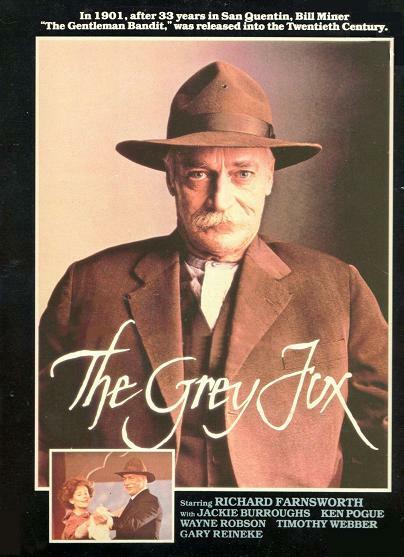 His next film, The Grey Fox, would win international acclaim and garner a Genie award for Best Screenplay. It was a remarkable piece of work in its understanding of the cinematic process. A feature-length script with less than 100 lines of dialogue, massive chunks of the story rendered completely visually. During its writing, John also found time to help draft the first Canadian Independent Producer’s Agreement for a still-to-be born Writers Guild of Canada. It was a lengthy negotiation in which he also demanded I serve, insisting it would be my generation of writers who would have to make it work. And he was right. That agreement made it possible for Canadian screenwriters to finally have Canadian careers. By the time it came into effect, the gold rush of the Canadian Tax Credit years was upon us and every screenwriter in the country had more work than he or she could handle. During those years, John and I spent a lot of time in LA. We visited the shoot locations of films we’d loved, drank late into the night with movie people we’d revered and continued our discussions on writing. Probably around tables where other writers had done the same for decades. During that time, our paths diverged. I went into television and John wrote a lot of terrific scripts that the hustlers and rug-merchants of that high-flying time either couldn’t get released or where the final print ended up in some bank vault until loans could be repaid. Among these was a dark little classic called Cross Country, which escapes its cage from time-to-time and might just be the most twisted Canadian murder mystery ever written. John would draw on that era for Hollywood North, his final feature. By then he’d won a Writers Guild of Canada Award for his only foray into series television, “Dead Man’s Gun,” and resurrected Gordon Pinsent’s beloved Rowdyman persona in John and the Missus. But his writing had evolved as well, as he moved from screenwriting to novels. John Hunter passed away on February 2nd. And don’t feel bad for not knowing or harbor some resentment at yet another notable Canadian artist going unmentioned in the press. Even John’s closest friends only heard the news recently. He wanted no funeral or memorial, no celebration of his life. Perhaps he’d reached the point in his evolution as a writer where he felt his own story had been told and needed no further embellishment. Or perhaps he knew that his life was part of our own stories now and we should all tell it in our own way, as best we could.